Berit Brevig has been a member of the Musicians Club of New York's Board of Directors since 2012. From 1986 to 2008, Ms. Brevig held the position as music consultant to the Norwegian Consulate General in New York. She has been Executive Director of the Edvard Grieg Society since it was founded in 1990. In this capacity she has produced more than 100 events of Norwegian music and art in New York and the TriState area. Her initial event presented the 18-year old Norwegian pianist Leif Ove Andsnes. In 2008, the King of Norway awarded her with the Royal Medal of St. Olav in recognition of her efforts on behalf of Norwegian music and culture in the United States. Since 1990, she has served as Vice President of New Music for Young Ensembles, (NMYE). Founded in 1974, it is a unique organization performing new works by American composers. The Norwegian/American Organization “Exchange Year of Music Norway/USA” was formed in 1989. During the 1989-1990 season, she produced several concerts for the organization in New York City. 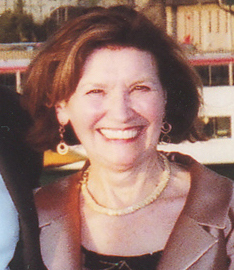 Ms. Brevig is a charter member and founder of the Manhattan chapter of Sons of Norway, Lillehammer Lodge. As Program Director for several years, she produced many events, including an event featuring a lecture and music excerpts on the life and work of the Norwegian composer Harald Saeverud by her husband Per Brevig, also a charter member and founder of Lillehammer Lodge. For many years she served as a translator of Scandinavian languages in the New York Civil and Criminal Courts. She is the director of Star Concert Productions. Berit Brevig is educated in Norway and the US and holds a Bachelor’s degree in Art History from State University of New York. Berit Brevig was born in Norway and resides with her husband Per Brevig, the noted conductor and founder of the Edvard Grieg Society, Inc. New York in Norwood, NJ. Their four children all have successful careers in the United States: their eldest son is a heart surgeon, the younger, a managing director of a Wall Street firm and their two daughters are both psychologists. Ms. Brevig’s hobbies are impressionistic oil painting, reading and gardening.